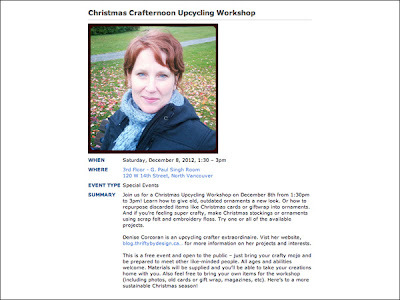 Thrifty By Design: Xmas upcycling workshop coming up! Well I have some super exciting news! I'm heading up another workshop with the North Vancouver City Library next month! Yay! It's a Xmas Upcycling Workshop taking place on December 8th from 1:30pm to 3pm. Visit the library's events calendar for further details. 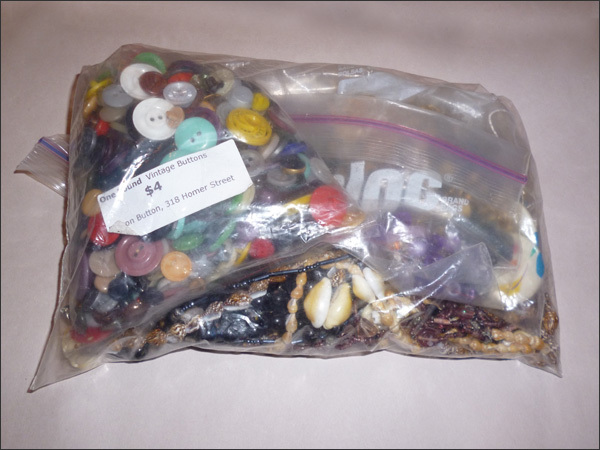 The event is free and materials will be supplied. I'm planning to present a few crafty projects - either you can repurpose old materials or update old ornaments. There should be something for everyone! 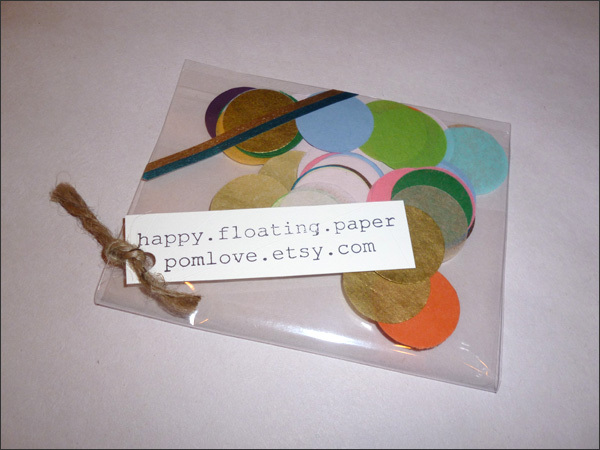 Right now I'm collecting supplies and finding inspiring projects. 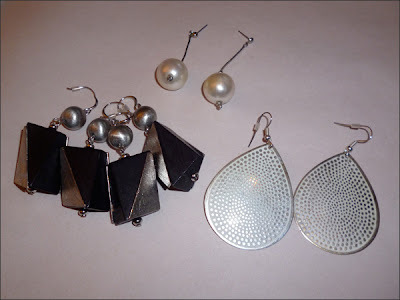 One project I'll be trying out is repurposing old jewelry like these earrings. I got these from the Lions Gate Thrift Store on 15th and Lonsdale Avenue. Each pair was $0.50. 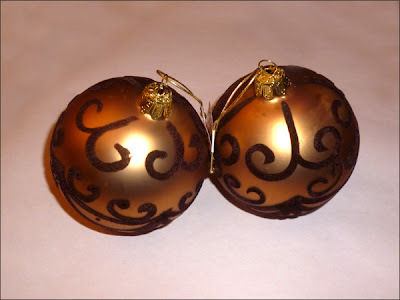 I thought these would be great to add to the bottom of an ornament. 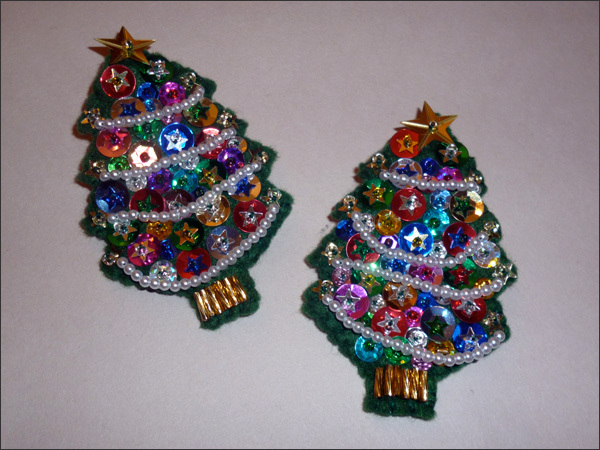 Maybe some felt applique ornaments. 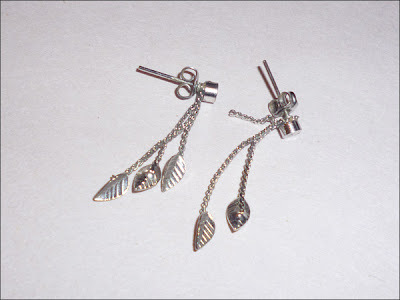 Unfortunately this pair is missing one of the leaves. They are so dainty and cute! 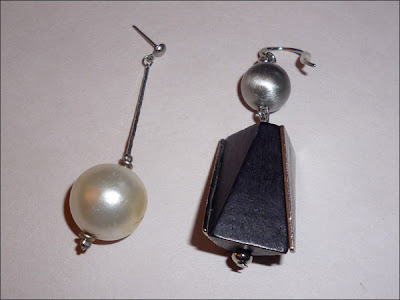 I might actually use them for their initial purpose - I'm going to fix them up and keep them as earrings. 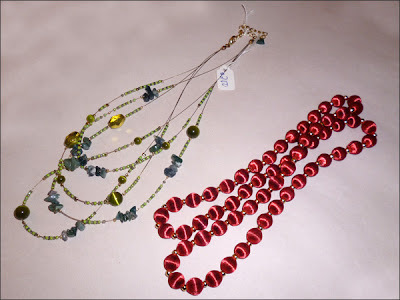 I bought these necklaces at the thrift store as well. I'm sure I can think of something to use them for. 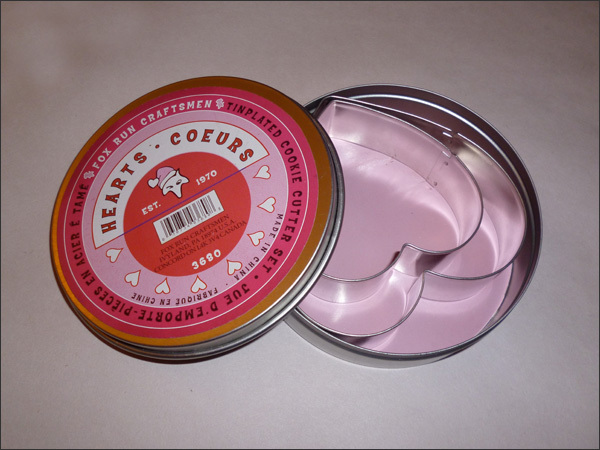 I thought of decoupaging outdated Xmas ornaments. I can use these paper circles from my Portland goodie bag! 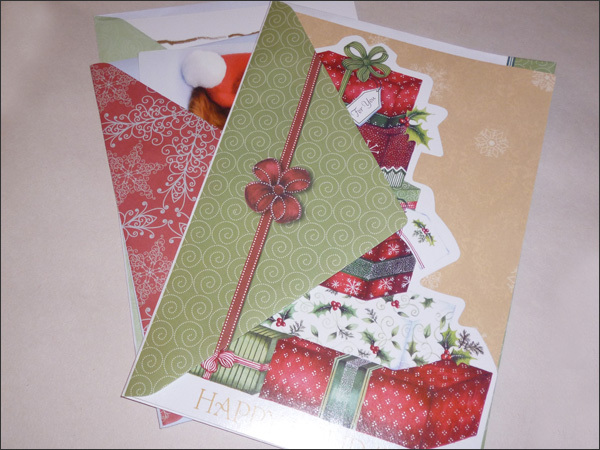 I have a few Xmas cards I bought at the thrift store - these can be Xmas ornaments as well! A friend gave me this bag of buttons and jewelry - surely they can be used to decorate an ornament! I bought 6 of these ornaments from the Lions Gate Thrift Store for $3.50 - they have potential! I'm going to paint them, add glitter, etc. We'll see what happens!! Lastly I'm collecting cookie cutters. 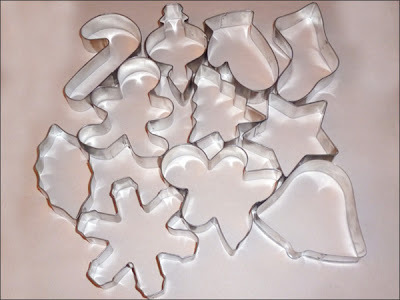 I know it sounds weird but they are the best for felt applique stockings and ornaments! These hearts I grabbed from the Lions Gate Thrift Store for $0.50. I picked up these up from Walmart. I'll be using the tree, start, snowflake, candy cane and mitten for my felt applique Xmas ornaments and as designs for my Xmas stockings. 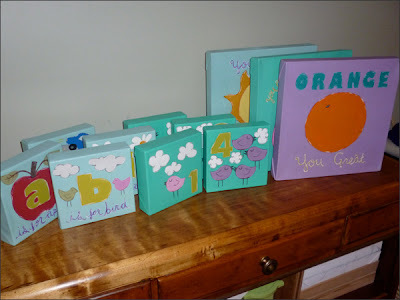 I found a couple of projects that would be great to replicate! These felt pins are perfect! I could use scraps of felt, repurpose jewelry and then make ornaments. My Mom found these for me. Love my Mom! 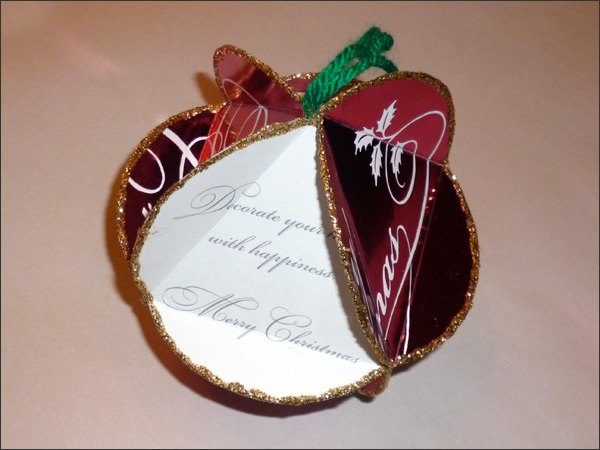 Another Lions Gate Thrift Store find - upcycled cards into a Xmas ornament. Perfect!! 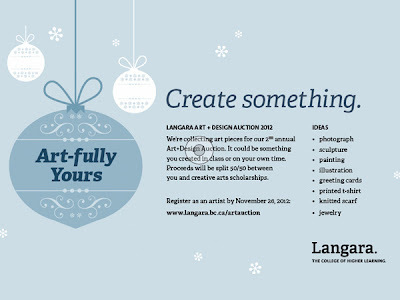 The 2nd Annual Art and Design Auction is coming up! 'Art-fully Yours' features over 100 one-of-a-kind pieces including paintings, photography, ceramics, and more. The auction is Thursday, December 6, 2012 from 6pm to 9pm. Tickets are $10 in advance, $15 at the door. 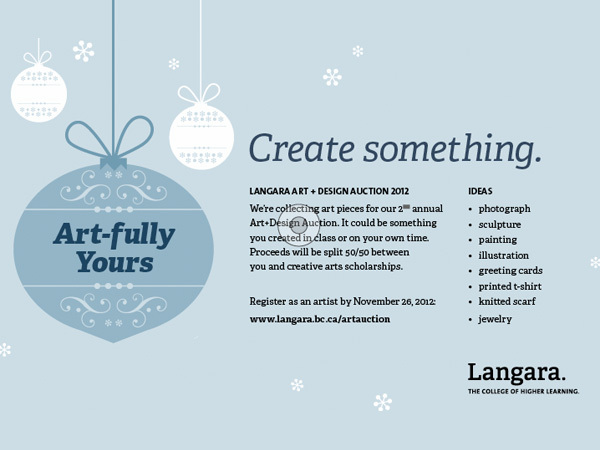 Visit www.langara.bc.ca/artauction to get tickets - save $2 on your ticket with the promo code 'ART2012'. Last year I donated Xmas stockings and an upcycled bench. This year I donated these paintings. I'm hoping to donate some felt stockings. I better get crackin'!